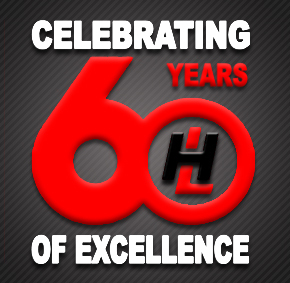 Harrison and Lear, Inc., is a Virginia corporation headquartered in Hampton and celebrating its 60th anniversary in 2013. The financial capacity of Harrison & Lear, Inc. as a general developer lies in the financial strength and performance record of Harrison and Lear, Inc. and the owner and managing member of the company, Mr. Thomas T. Thompson. Harrison and Lear, Inc. enjoys longstanding exemplary relationships with RBC Centura Bank, Old Point National Bank, Towne Bank, Monarch Bank, Virginia Company Bank, Virginia National Bank, SunTrust, Bank of America and Citizens & Farmers Bank. Over a sixty-year period, neither Harrison and Lear, Inc. nor Mr. Thompson has ever failed to satisfy its banking or fiduciary obligations with respect to loans, partnerships or limited liability companies. The demonstrable performance capacity of Harrison and Lear, Inc. and Mr. Thompson is evidenced by the current development or successful completion of the following projects on the Peninsula, including many of great size and complexity. Executive Towers Office Building - 150,000 sq. ft.
C & P Office Building - 24,000 sq. ft.
Willow Oaks Shopping Center - 225,000 sq. ft.
2310 Tower Place Office Building - 12,350 sq. ft.
Old Hampton Family Medical Practice - 12,500 sq. ft.
Thomas T. Thompson, Chairman, Harrison and Lear, Inc. Project concept, financing and direction. Robert M. Sherman, III, CPM, President, Harrison and Lear, Inc. Property management. Linda Ellis, Vice President, Harrison and Lear Land Corporation Project management, coordinates design, development, and construction. As stated previously, Harrison and Lear, Inc. is a diversified real estate company with leasing, development, and property management departments and nearly 60 years of experience in serving the real estate needs of Hampton Roads. The Investment and Development Departments were formed in 1964 to find, acquire and develop property. Over the last 49 years, 25 partnerships and corporations have been formed with approximately 591 investors. These partnerships have purchased and developed over 3,000 acres in residential subdivisions, multi-family communities, office buildings, an industrial park and a shopping center on the Peninsula. It would be our intention, if chosen as the developer, to form a partnership and syndicate the project as it is developed. The company not only has the capacity to develop residential subdivisions and multi-family communities but also commercial properties. Harrison and Lear, Inc., has built and actively manages 12 apartment communities and 863 apartments, primarily located in Hampton. The company currently manages 2,539 single family detached, townhouse and condominium units along with 125 single family homes located in communities in Hampton, Newport News, Poquoson and York County. Management of 42,400 sq.ft. of commercial properties throughout the area rounds out the portfolio of our property management department. The financial capabilities of Harrison and Lear are demonstrable by the fact that it has done and continues to do successful projects of varying size and scope on the Peninsula and in the surrounding areas. Over the past 60 years, Harrison & Lear has continually worked to build strong relationships with local lenders, builders, contractors and local government officials to facilitate smooth flow and completion of development projects. This is certainly evidenced by the completion of our many development projects both in York County and Hampton. We are eagerly anticipating HH Hunt's Spring 2013 opening of our 32 unit subdivision known as Buckroe Bayfront. Currently under development in York County is a 23- lot section of the The Woods on Mansion Road subdivision. The Woods on Mansion Roads is located near The Running Man subdivision comprised of 615 lots which has been entirely developed by various partnerships formed under the direction of Tommy Thompson and Harrison & Lear. It is our strong commitment to the community in which we develop that has allowed us to gain the support we receive and build the working relationship we have developed with many of the officials in various Hampton Roads municipalities. Our relations with institutional investors, private equity funds and local financial institutions coupled with our experience in syndication of similar projects make us confident that we can syndicate and secure financial backing for this proposed project.